Tour and taste your way around Lyon on this half-day Old Town food tour. You'll save hours researching where to find the best local food, and instead, have insider knowledge from your guide. Meet local producers, and learn about Lyon’s wonderful gastronomy scene. You won’t have to worry about translation problems—your guide will translate for you, as you enjoy six tastings throughout the day. 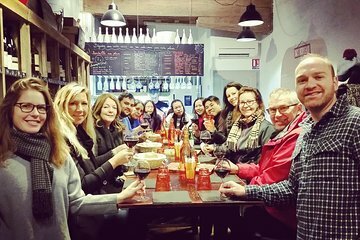 A great tour combining the traditional with some of the new trendy spots in Lyon. This tour was amazing. You absolutely need to do this tour the first day you stay in Lyon so that you know where to go for the remainder of your stay. Come hungry, there is more than enough food for breakfast and lunch. Our tour guide was very informative and had a great sense of humor.